Mathematics is the way God thinks about numbers. It works and applies to this world because God’s mind upholds this world. That’s why math is beautiful — most students don’t view it that way; they don’t see it as applicable. Due to the ever-increasing influence of technology, the study of mathematics is crucial for both logical thinking and the preparation for any technical vocation. Mathematics is also a vital part of a well-rounded liberal arts education, and there is a massive need for mathematicians and there are very few people to help fill that gap. The small class sizes are optimal for detailed, personal and focused training in each area. Students majoring in Mathematics at Master’s are challenged and strengthened incalculably in their studies to go into any mathematically based job and thrive. Small class sizes allow for close teacher-student mentorship and a high-level of scholarship. 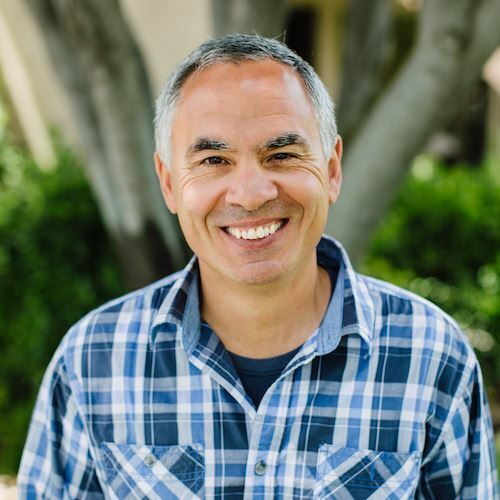 Dr. Button is a member of the American Mathematical Society, has served as an English teacher in the mission field, and serves actively in his local church. Dr. Drai graduated from University of Nice in France, has worked for NASA, Alcatel Space Industries, and the European Space Agency; he currently researches control theory and population dynamics. The Mathematics curriculum is designed to provide a strong foundational core for the student interested in pursuing graduate study and to offer students the opportunity for preparation in fields relating to applied mathematics, such as statistics and engineering. The Department of Mathematics provides a strong and thorough offering in mathematics as a part of God’s creation in a concentrated effort to integrate faith and learning. A minor in mathematics is available to students from all other departments and can be pursued in conjunction with every other major on campus. *Fulfills general education requirement for P311; teaching credential program prerequisite. All students who are interested in going to IBEX should consult their advisor as early as possible. All students in the Mathematics Education emphasis are strongly urged to take ED400 and ED410 during their last two years, in addition to the courses required for the bachelor’s degree as a preparation for the Teaching Credential Program. Contact the Department of Liberal Studies & Education for more information. A maximum of two (non-general education) upper division courses from another department may be used to satisfy the “additional upper division mathematics courses” requirement, subject to the prior approval of the student’s advisor. The Master’s University Teaching Credential Programs enable students to become excellent teachers who integrate faith into teaching, learning, and living. Each program is a two-semester program (Fall start) and includes structured fieldwork and student teaching. Learn more about the 5th Year Teaching Credential.